Issue Tracker - Issue #209: (Build 8987) In the palette, Getters section of Game Attributes shows setters blocks instead of getters blocks. 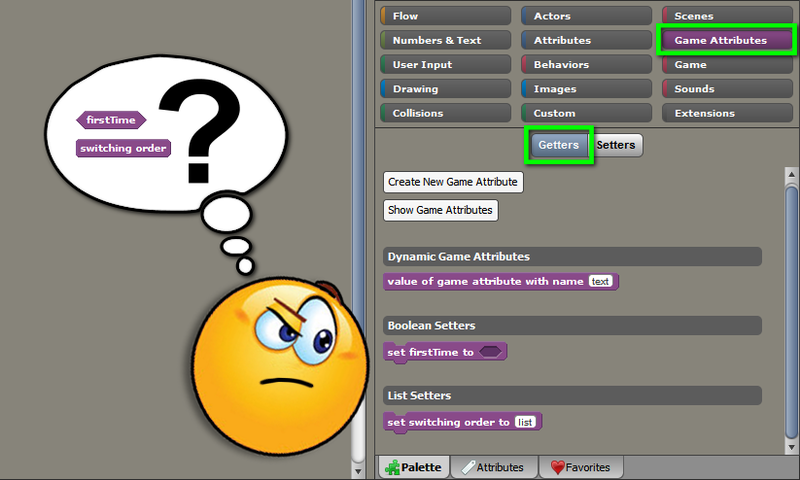 (Build 8987) In the palette, Getters section of Game Attributes shows setters blocks instead of getters blocks. Issue: (Build 8987) In the palette, Getters section of Game Attributes shows setters blocks instead of getters blocks. Issue renamed from "Getters section of Game Attributes shows setters blocks instead of getters block" to "(Build 8987) In the palette, Getters section of Game Attributes shows setters blocks instead of getters blocks."